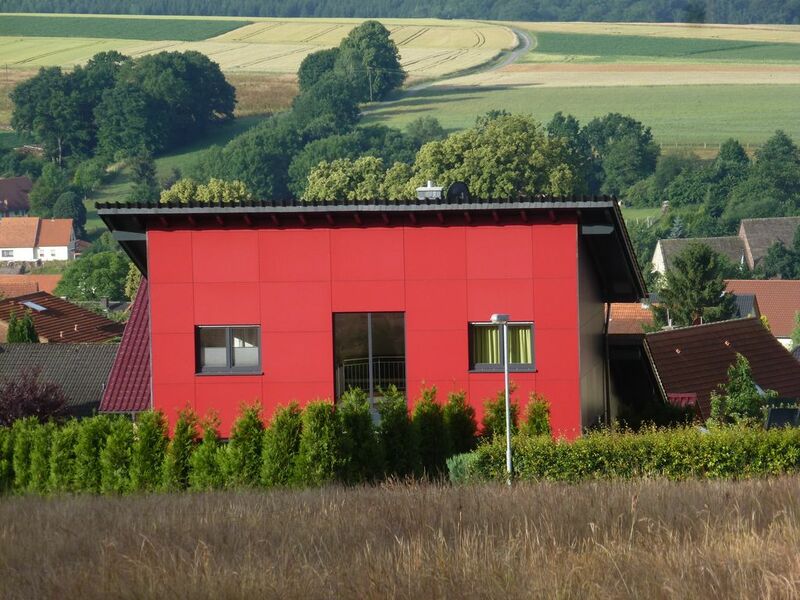 Charming holiday home in the Weserbergland; directly on the Reinhardswald! Enjoy your well deserved holiday in an absolutely natural idyll. Enjoy arranging your stay quiet or quite also very active. You will find in the immediate vicinity of a variety of recreational opportunities. Only 4.5 km south-southeast of Gottsbüren is the legendary Sababurg, the Sleeping Beauty Castle "of the Brothers Grimm with the attached Tierpark Sababurg and adjacent jungle. A visit to the zoo, the Dornrößchenschlosses and the jungle, you should definitely make up a day of your vacation planning! The bathroom on the upper floor is equipped with a new shower (December 2017) and a Jacuzzi, toilet and sink. In the basement there is a toilet with vanity. The German Tourism Association e. V. our house was awarded 4 stars in December 2017. We have the beautiful house so built as we would live there permanently even. Down to the smallest detail, we have designed the rooms and the facilities, so that we or You can feel comfortable and feel a bit more at home. Geographically our village Gottsbüren located about 40 kilometers north of the North Hessian city of Kassel. The northern part of the village is surrounded by the Reinhardswald, west of the far is located 424 m high mountain is with adjoining Long, heavily wooded 461 m high Hahneberg. Both are located to the east of the creek Holzape and the village is crossed by the inflow Fuldebach. Through the village leads a section of the Weser Renaissance Route, 4.5 km south-southeast of Gottsbüren is the legendary Sababurg, the castle of Sleeping Beauty "by the Brothers Grimm with the connected Tierpark Sababurg and adjacent forest. A visit to the zoo, the Dornrößchenschlosses and the jungle, you should definitely make up a day of your vacation planning!